"I first guessed it might've been Japan" -- That was exactly my first guess too. Well, in any case, I'm glad you've returned to embracing meat again. Ha!! The experience was definitely a speed eating sushi first, but so worth it. If you ever want to go back, I am in if only for that crab hand roll. there are a bunch of posts out there! I'm keeping track. I read the other reviews you linked as well, and am really digging the concept of this place. Looking forward to trying it. It's been literally over a decade since I've had Edomae sushi. 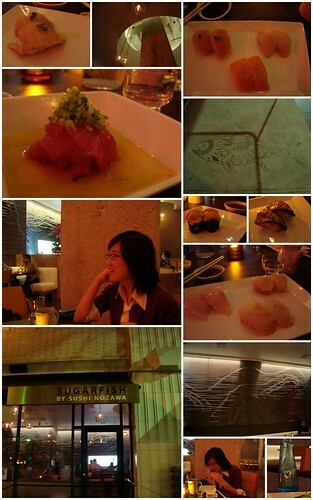 i have to say with all the HYPE and POSITIVE reviews about sugarfish. I find it just "okay". it definitely does not beat sitting @ a good sushi bar. 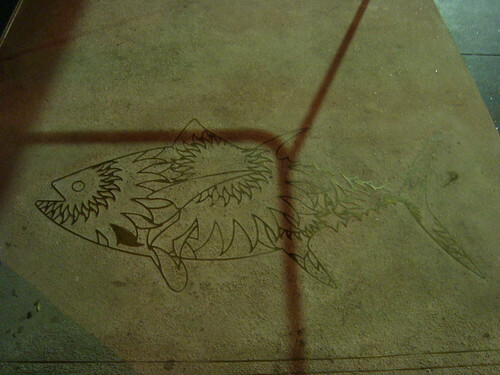 I agree the fish appears to be "best picks" of its grade. But they do not use high grade fish, neither toro nor uni are that great. Overall, above average, and really not bad for its price range. 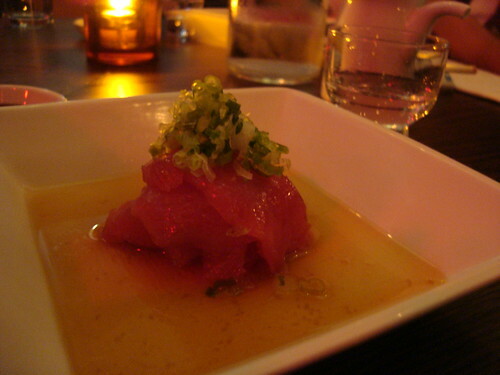 But i'd rather pay 20 bux more and eat @ sushi bar at Toro Sushi in alhambra, for much much much better quality. oh yum, wish i could have made it to this event! @Esi, ha -- done! you and Conbon! 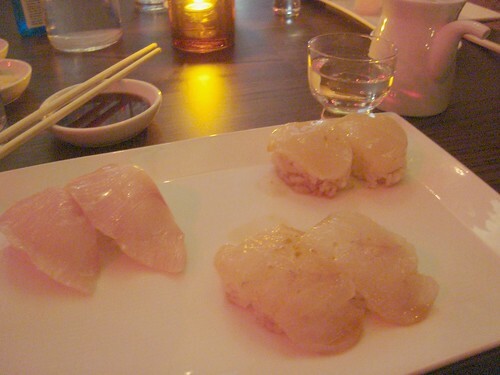 @TheMinty, didn't know there was someone keeping track of all the SugarFISH reviews. @Chubbypanda, can't wait to hear what you think when you do go. 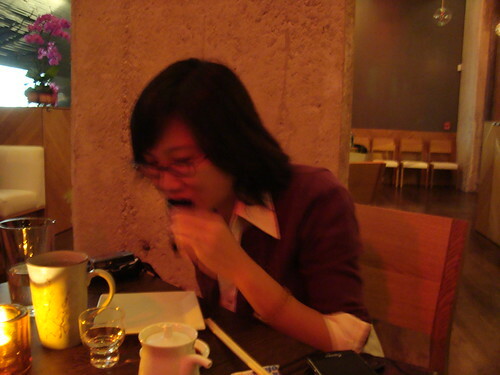 @Shihfan, alas, not having been to Toro and not having eaten sushi for 7 months I don't have a really good basis for comparison. 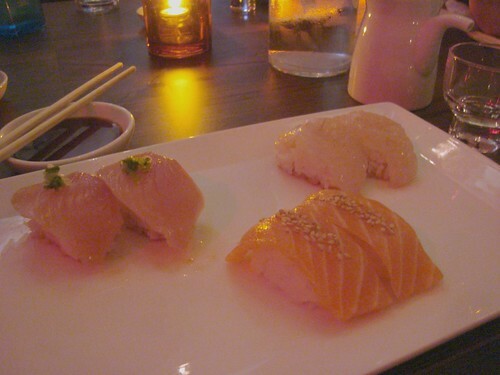 But the sushi/sashimi I did have was wonderfully tasty. 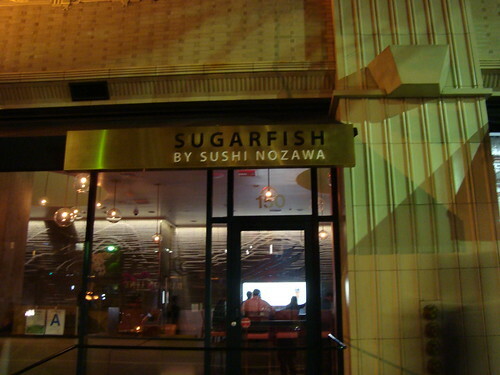 Anyhoo, can't wait to read your thought on SugarFISH downtown on your blog. @Anna, so when's your next trip down to LA? I'm still annoyed you were right around the block from me and didn't tell me, hmph! Thanks for the info though, I can't wait to try it! Glad your first non-veggie meal was such a success! We believe it is inappropriate for restaurants to charge customers without their consent. First, review the bill to see whether this is the actual charge or the authorization. 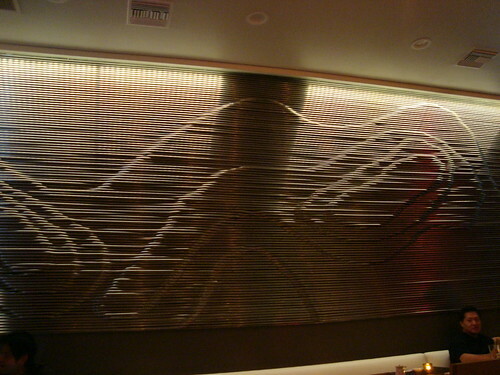 Restaurants will sometimes authorize an amount that includes an estimated tip, to make sure there is adequate credit. 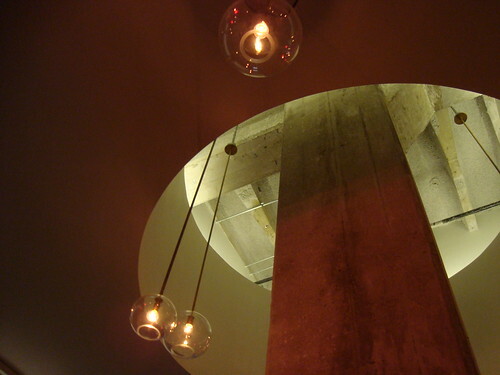 If the unapproved tip appears on your final statement, we recommend you contact the restaurant for a refund. 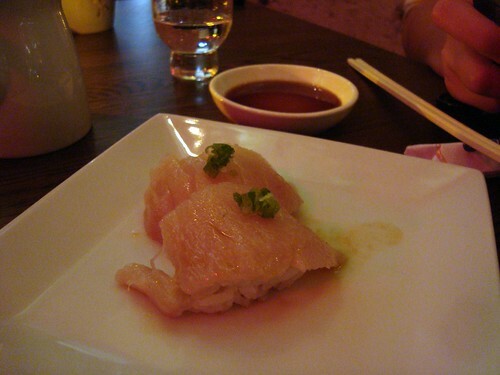 I've YET to try sushi in LA since I moved here about a month ago; looks like this will be my first pick. :) Thanks for the review!